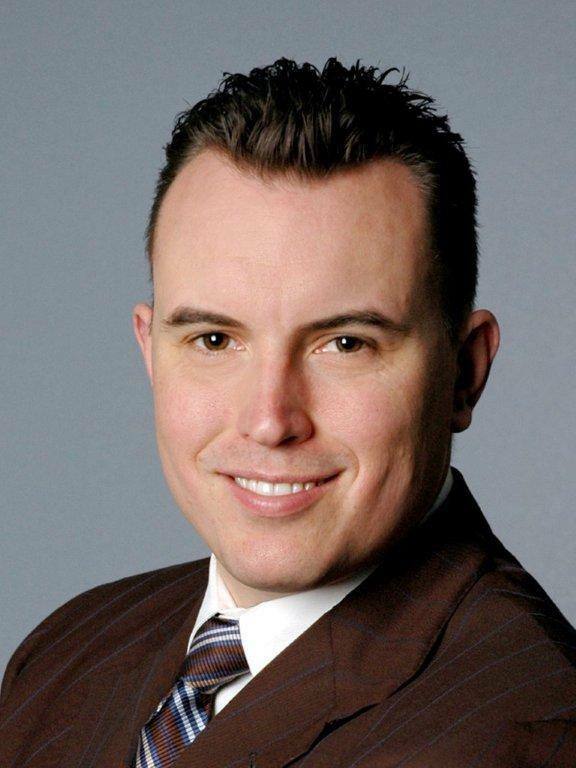 Not too long ago, entrepreneur Che Voigt left L-3 Communications to focus on development of a unique business model that would collaborate with product-based business teams ready to move to next levels of product development. North Bay Angels is the largest investment group north of the Golden Gate Bridge. Founded in 1998 to fill a growing need for a forum for learning and mentoring available to entrepreneurial companies in the North Bay, success in this primary goal will make the North Bay an even more attractive business center to compete favorably with business centers in the Bay Area, California, and elsewhere. Love me ‘till my life is done. Dan Walker let us know that there were only 40 cards in the bag, including the two jokers. A one-in-20 chance to win, with next week’s odds even better (as long as Ted Wilmsen is absent.) This week, Craig Meltzer held a ticket with the winning number, but failed to pull a joker. Today’s $330 Jackpot rolls over to a larger treasure chest next week. On a sad note, President Peggy repeated the announcement that our club received word last week that Carole Cooper, a former member of our club, had lost her four-year battle with cancer and had passed away. Carole’s husband Al informed us that a Celebration of Life will be held at 11 a.m., Wednesday, August 14th, at Daniels Chapel of the Roses,1225 Sonoma Avenue in Santa Rosa. As this will be a celebration of Carole’s life, her husband Al Holcomb encourages you to bring your favorite memories and stories about Carole, and feel free to share them if the spirit so moves you. Carole will be here in spirit to share in those memories. Peggy then asked us to stand for a moment of silence in Carole’s memory. Note that Saturday’s Press Democrat, on page B2, included her obituary written by reporter Sean Scully that highlighted Carole’s life of service and her productive years in the Rotary Clubs of Santa Rosa and Santa Rosa Sunrise. Penny Tibbetts let us know that Camille Knickerbocker, the wife of Nick Knickerbocker, has been experiencing health problems this past week. Penny asks us to keep Camille–and Nick—close in our thoughts. Recalling that the Paul Harris Fellowships were established in 1957, almost 60 years ago, to honor the founder of Rotary, Vickie Hardcastle introduced us to five new Paul Harris Fellows: Dan Walker, Doug Johnson, Julia Parranto, Darrell Horn, and Debra Dorfman. 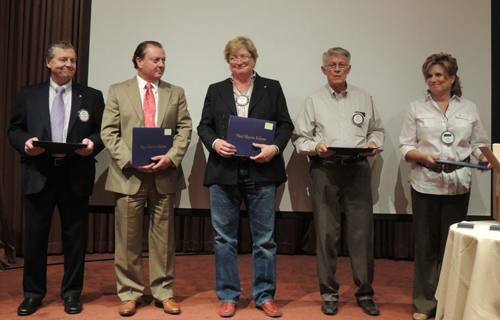 Vickie then introduced the eight Rotarians who are, or have been, working on multiple Paul Harris Fellowships. “Yes”, Vicki reminded all of us, “Yes, you can do as many Fellowships as you wish!” Those Rotarians include Past District Governor & Past President Norm Owen, President Peggy Soberanis, Mel Konrad, with President-elect Mark Burchill, Kim Murphy, Roy Thylin, Sam McMillan and Joseph Harriman, Sam’s four year-old grandson. Vickie Hardcastle used her bully pulpit for two more announcements: First, the 9th West Africa Project Fair in the country of Togo—a week-long hands-on experience scheduled this fall, October 15–24. The cost is $1,689 per person, double occupancy, not including airfare. Please contact Vicki if you are interested in more details, or download the flyer and application by clicking on the banner below. This will take you to a page where you can download the flyer. Vicki’s second announcement pertains to the local District 5130 Foundation Dinner to be held on Tuesday evening, this November 2nd at Sally Tomatoes. She is looking for a Sonoma County volunteer to assist on the Foundation Dinner Committee. Again, Vicki Hardcastle is the one to call or email if you would like to help. Ann was born and raised in Sonoma County. She was actively involved in her school and community as she grew up and she. She joked about going to USC (I noted a few boos in the audience. Good-natured boos of course) and then going into the U. S. Marine Corps. She attended Officer Candidate School and graduated with her commission as a 2nd Lieutenant in the United States Marines. Ann’s dad was quite proud of his daughter for outranking him, especially as she ended up in Signals & Intelligence—studying electro-magnetics. She became a company commander and was assigned to Desert Storm. Because women were not allowed in the front lines during that conflict, The Corps required Ann to give up her officer’s commission but at the conclusion of Desert Storm she was reassigned and ended up traveling extensively with the Marines. After receiving an honorable discharge from military service, she returned to California to become a certified wine professional with the Culinary Institute of America. Following the Katrina disaster Ann moved to Santa Rosa and worked for the local Red Cross; until our fellow Rotarian Sonaya Stevens stepped in and introduced Ann to one of her Rotarian friends. His name was Jeff Gospe. Peggy Soberanis, President of the Rotary Club of Santa Rosa, placed a few SF 49er mementos and Sonoma County Fair items up for auction, courtesy of the 49ers’ David Spath. Sam McMillan bought a genuine 49er baseball cap for $40. Shannon O’Connell bought a classy 49ers scarf for $30, and Norm Owen picked up an authentic lap-warmer blanket emblazoned with a huge 49er logo for only $40! And Kim Murphy picked up an indeterminate number of Sonoma County Fair tickets for $20. » Rotary Means Business met Thursday evening, August 1st at Janet Codding’s office over by Coddingtown. » The next Rotary Social will be in four weeks, on Thursday, August 22, at 5:30 pm at Joy & Bob Parker’s home. Guests are invited to bring snacks (more information and precise directions to come). » Steve Reuter wants to talk to all the Red Badgers so that he can get you assigned to fellowship duties for the weekly meetings in August. » Blaine Goodwin will be doing the assignments for September. Please see Steve and Blaine immediately so you all can knock off some of your requirements to receive a highly-coveted Blue Badge! » Debi Zaft announced that the theme for an evening at Casino Royale on January 18, 2014 is “The Roaring Twenties!” The gala event – the second fund raiser for this Rotary Year – will be at the elegant Agatha Furth Center in Windsor. Deb is looking for volunteers and auction items. » While Debi was at it, she asked the Rotarian magazine Question of the Month: Doug Johnson was ready with the correct answer! » John McHugh reminded us to think hard for a local potential award-winning Rotary Heritage Project for us to focus on. Don your thinking gap and call John now with your ideas. » Jackie McMillan announced that Don McMillan did a makeup meeting at the Rotary Club of Portola, and she brought back a rare Portola banner to prove it. » Sam McMillan says that our club bought two hogs at the fair and will be buying lambs this Friday. Once butchered the meat will be available to purchase and if anyone wants to go on Friday to watch, the 4-H kids would just love it! » Mike Kallhoff is serving on the Sonoma County Mayors Committee for the Disabled. He would like you to let him know if we know of any businesses in Sonoma County that are doing an outstanding job of hiring the disabled. The committee is taking nominations for the awards breakfast this fall on October 30th. » Judy Glenn happily donated $50 to the Local Foundation in return for the joyful pleasure of getting her missing cell phone returned to her. President Peggy had the phone and was more than happy to accept Judy’s donation in return. ☻President Peggy is to be commended for her eager bunch of spies! She had several pictures in her possession of Rotarians doing good deeds and they were fined…er, recognized for all the good deeds. Now if we could only report the gospel truth about their generous contributions to our Rotary Club and its local foundation. ☻ Yale Abrams had been gone for most of July… to Michigan, Chicago & Seattle. ☻ Kris Anderson was photographed helping out at the crowded but cool Giro Bello cycling event. ☻ Bill Rousseau was also “photo-shopped” at the club’s third annual fundraiser, demonstrating that his underwear was color-coordinated with his shirt, shorts and shoes. What, Bill…no socks? ☻ Karen Ball was busy the whole day helping at the Giro Bello registration! ☻ Jose Guillen was manning the bike valet service and was likewise recognized. Jose also confessed–with only slight persuasion—to going to San Antonio, Texas, with Senator Mike Thompson! 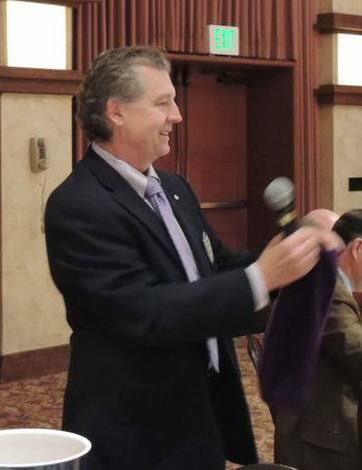 Our speaker was the San Francisco 49ers’ security representative, David Spath, who went to work for the 49ers in 1981 as an usher for no other reason than to get really-scarce tickets to 49er football games! He did such a good job as an usher he was promoted to the security detail for the wives of the players. According to Spath, it was a pretty cushy job because the ladies rarely bothered him and he could sit in Section 18 with them and enjoy the game. After more than 30 years he is one of five security supervisors for the games, overseeing 54 people in his sections of the stadium. The greatest problem security faces are spectators who drink too much too fast, get into brawls, wear clothes offensive to others, and use overly-offensive language. According to Spath, they have experienced no threats at or around the stadium, but after the Boston bombings, security details are acutely aware that anything is a possibility where large crowds are assembled. He contrasted the 49er games at Candlestick with the Philadelphia Eagles’ stadium, which sports fully-functional prison cells with a judge on call at each home game! The NFL takes security very seriously at all times, says Spath, and wants the fans to know they are safe at all times when they attend game events. Anyone who violates the rules can—and often do—lose their season tickets…even thoughtless ticket owners who give, or sell, their game-day tickets to others! Everyone at the 49ers are looking forward to the new Santa Clara state-of-the art stadium, with more high speed elevators, escalators that actually work, and universal WiFi, just to mention a few of the major changes. Rumors that the stadium will house two stadiums(!) confirmed but not fully explained! In preparation for next season in the new Levi Stadium, this season all belongings coming into Candlestick Park must be in clear plastic bags for easier inspection. Starting this fall at the first game, no alcohol will be allowed to be brought into the old stadium. Or to the new stadium next year!